but I would like the code styling to be 'cm' or 'mm' which much easier to work with. This is my 1st time trying to style anything by hand with CSS but I hope that this project can help me learn and pick things up quicker. Css and other things available upon request and a test forum is available to style it on. Any help would be appericated and thanked greatly. If you have experience designing with CSS and a basic knowledge of the DOM, it'd make things a lot easier. I'd recommend reading through this if you haven't : http://www.w3schools.com/css/default.asp It's pretty good for beginners. I've not spent time with the newer versions of AWC, so I can't really tell you what effects what. 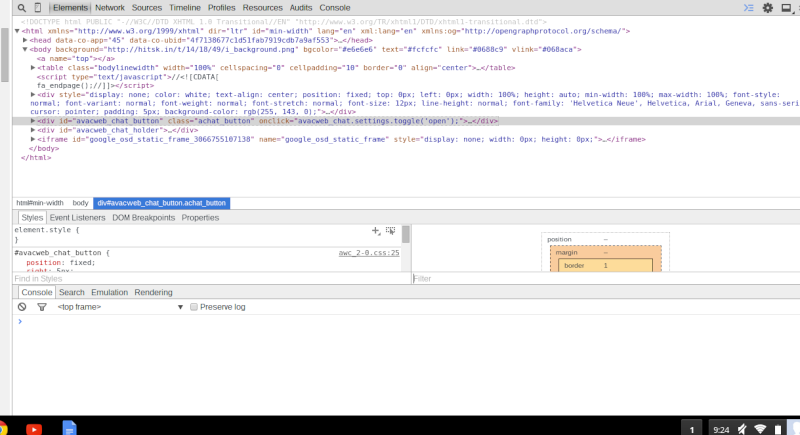 The best thing to do would be to use your browser's developer tools to inspect the DOM and find a class or ID to style the element. If I provided the CSS I used before would this give you a better idea of the effects and what is what and what not? I'd actually write the CSS in the Style Editor, but I needed an extra window to show a CSS example. I was planning to take the latest AWC for a spin, but at the moment I'm working on a few projects and also studying. I'll get to it though, there's no rush..
Hmm.. ok I will see what I can do. Please note that the custom CSS is no longer in the acp, i removed it, I do not know if this will effect Dev tools or not, but i copy what I got in Dev tools for you. Let me know if this helps any. Or if you need anything in particular. But I tried I do not know much about Developer tools. But again please note I removed the css that was in there before and replaced it with the standard AWC CSS. If you need the exact code for the CSS that I had before let me know, I will get it. Then some blacks for the background it looks like. I can provide the previous css styling if it can help any. The above screenshot was taken after the css styling was removed. If you need the css I will get it for you as soon as my tablet decides to connect to the wifi at my house (I hope it will be today or at least very soon). Just let me know if you need it or anything else. Wow that pretty much hit the nail on the head! Nice thanks Ange... now say I ever wanted to edit this design or if something breaks again, what would be the easiest way for myself to fix it? What I mean is, if the code ever needed tweaking for any reason what does what so I know what to fix or adjust. Honestly ? If you've no experience in CSS or exploring the DOM to find what does what, you're going to have a tough time trying to do things yourself. I do however, think that the selectors in the style rules provide a pretty explicit description of what they do. The class .achat_button affects the buttons. Hey! I am working on it! I have been watching youtube videos and studying on w3schools and I know a little bit of stuff. Will give you a greenish background color. I am slowly getting it, I just wanted to make sure is all. I really appericate it very much Ange . I have a small correction for your rule above. Property values aren't assigned using the = operator in CSS. They're assigned with a colon. The DOM ( Document Object Model ) is pretty much a tree of HTML elements created when a webpage is loaded. So technically, any web browser has an HTML DOM. I didn't learn what I know over night, it's been almost 2 years I've been studying and I still am. Yeah that is true Ange, I may try playing around with the styling for the chatbox on my test forum, see what I can accomplish. I suppose I should put the styling on my main forum 1st though before I start playing with it. I catching on to it slowly, there are so many little rules that do so many things that it can take awhile. Honestly I think I am learning rather quickly as well, because when I came back in December I knew nada (or had pretty much forgotten most of it) about the acp besides how to add, remove or modify forums and categories. I re-learned that really quick, now I have begun learning the coding ways a bit, html is pretty stright forward, if you do not know something simply try one thing and if that does work try another. Which part can I use to change the background of the chatting area (see how the above image has a black one)? I tried fiddling around with different think in it including .chat_button but only managed to chat the outside border of the chat to black. I have tried playing with the .chat_button and only managed to change the border outside the chatting area. 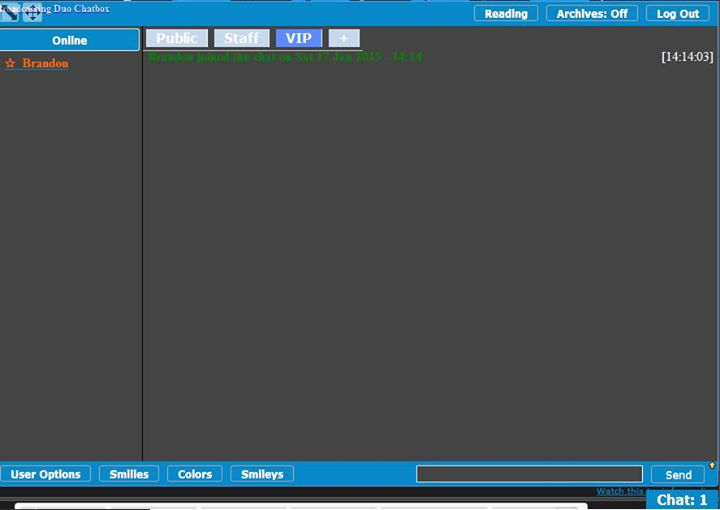 I am trying to change it the chatting area background color (where the text is displayed) to #0000 . #awc_rightbox for the chatbox and #awc_userlist for the memberlist. Ok I tried changing it on my test forum. No result . 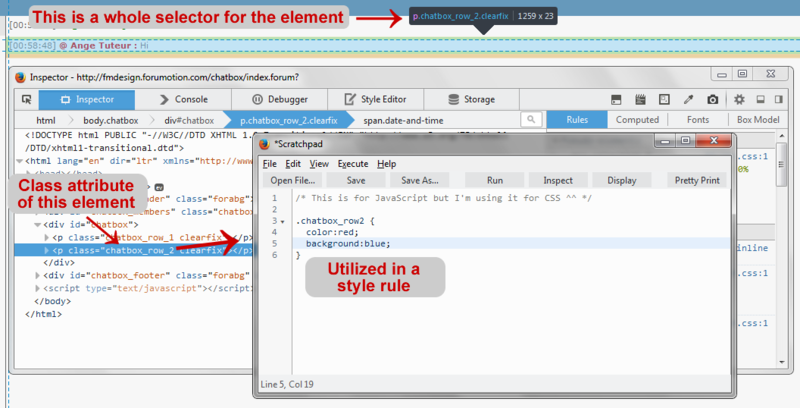 Do you have CSS to modify the chatbox already in your stylesheet ? If so, remove it or modify it. The only other thing added is the standard css to keep pm's private and a tiny line to make the default text color gray (otherwise the text is nearly impossible to read without sun glasses). If you need more let me know? Any idea why it won't change the background? I will keep experimenting with it later today to see what else I can do with it. I thought the whole CSS I gave you before changed the background color to black. No, it didn't it changed everything else except the background. I had to ask LG how to make the default text color gray because it was so terrible and hard to read. Could I see your entire stylesheet for that forum ? Sure thing... here you go.... but the only other thing on there is for your database.